Convert XLSM to PNG raster images online in a few seconds! Run a XLSM to PNG Online Converter here or take a batch Tool! 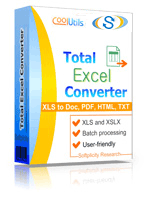 Description XLSM is an advanced version of XLS format, a Macro-enabled MS Excel file. Just like XML files, XLSM files use a combination of XML and ZIP compression algorithms, which reduce file size significantly and thus facilitate storage and sharing. Unlike its predecessor, the XLSM format features a macro � a Visual Basic programming code. Therefore, every time you try to open an XLSM file, there will be a warning about a potential threat. Please, do not open XLSM files received via email from unfamiliar sources. These files are compatible with Windows 7/8/Vista/XP. Description PNG images provide lossless compression, that is why the quality of the picture is nice, but the size of the file is huge. Because of it this file format is used by photographers. PNG may have several layers of transparency and even include short text descriptions which help search engines to examine the file. Although PNG was developed to replace GIF and partly other formats, it doesn’t support animation since it can’t contain several images like GIF.